1. || 2. || 3. || 4. || 5. || 6. || 7. || 8. || 9. || 10. || 11. || 12. Hey love bugs! I'm in Taiwan right now but wanted to put together a travel guide for any of you who may be planning upcoming trips! 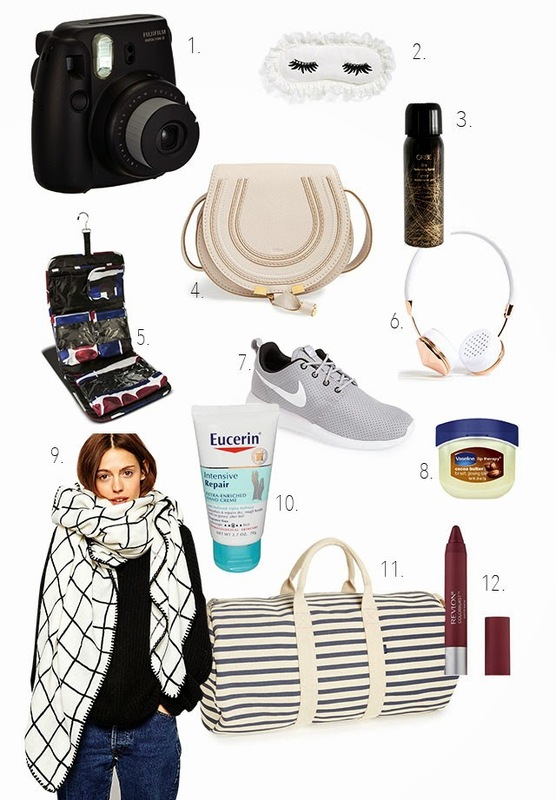 These are some of my favorite travel essentials. I use almost all of these while traveling and hope you guys will see the value in each of these items! This matte lip stain is the best thing of my entire life. It goes on so smoothly and the long lasting color is simply gorgeous. I have it in "sultry" and am in love. When I step off the plane, my lip game is still going strong. Love it big time. This blanket scarf is the handiest thing ever. It keeps you warm on the plane or on a taxi ride, and is one of those pieces you'll get compliments on no matter where you are. This Eucerin lotion is a game changer. It beats all lotions out there. Being in Utah, my skin gets incredibly dry and all other lotions seems to make it worse. This one keeps the moisture in and makes skin extra kinds of soft. I like to dab just an itty-bitty amount on the dry areas of my face too. I have never broken out from doing so either. Kind of the best. (Thank you to my co-worker for introducing this to me. Forever in her debt.) This Chloe bag is my dream travel bag. I wish I owned it but sadly, that day has not yet come. I just love it though! It's the perfect size, shape, and color. Since this one is more of an investment piece, here is a Kate Spade option that's a bit more affordable. Those mini Vaselines are great! I have them in all 3 versions!